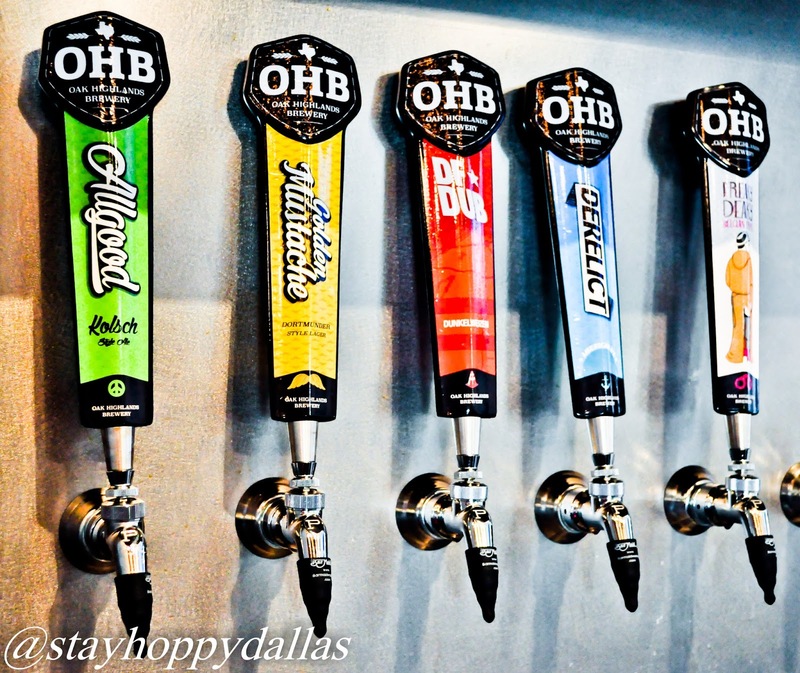 Oak Highlands Brewery, one of the newest kids on the block of the North Texas beer scene, is officially open and selling its beers around North Texas. If you haven't had their beer yet, you're missing out. To be this young putting out beer of this quality is quite an accomplishment. 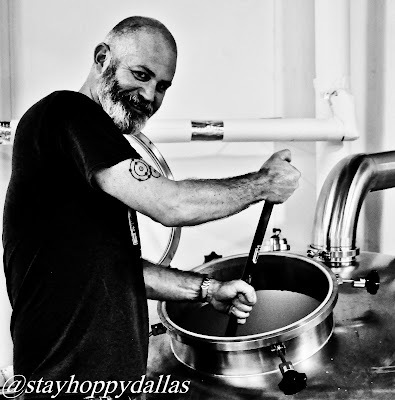 It probably doesn't hurt having John Sims on board (read about him below), and did I mention that he is now officially hired on as head brewer? 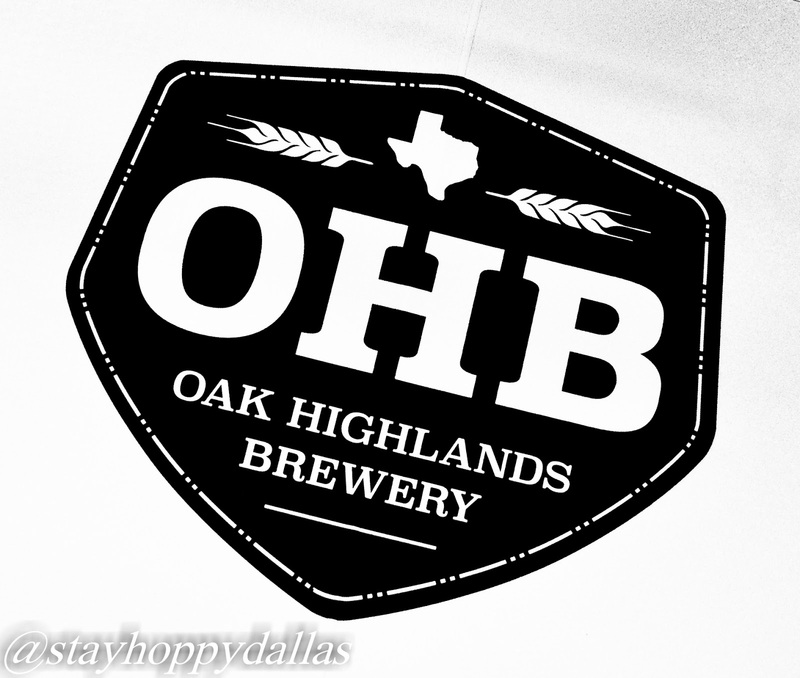 Oak Highlands also plans on canning their beer, very soon. They are hoping within the next two to three weeks to have their beers canned. No word on which ones will be canned first. Speaking of their beer, let's go through some of them. One of my favorites from them, the Derelict IPA, is a citrus bomb on the nose, utilizing a ton of the hard-to-come-by Citra hop. It's balanced and a bit bitter but does not linger like a West Coast IPA. The Freaky Deaky is a deliciously dangerous American hopped Triple, combining citrus characteristics of the hops with the Belgian yeast and phenol properties. At 10% abv, this one catches up to you. Their newest creation is a traditional German Oktoberfest bier. This one is has the soft malt presence you look for while having a touch of malty sweetness as well. It's absolutely divine on tap at the brewery. Also, 10% of all Oktoberfest sales go towards breast cancer awareness and research through Bridge Breast Network, so drink up! Speaking of Oktoberfest, Oak Highlands will be throwing a big Oktoberfest party on October 10 with live music, KB Brats slinging authentic German food and Oktoberfest bier of course (5 German beers to be exact). $15 through Eventbrite in advance or $20 at the door gets you a commemorative Oktoberfest pint glass and three tokens for beer. Additional tokens for purchase for $5. Time to be determined. Part of the proceeds of the party will be donated to the breast cancer awareness so stay tuned on when you can buy tickets. The first time I heard about Oak Highlands Brewery was when LUCK had their first annual LUCKapalooza event. Various tappings happened throughout the day, along with brewery newcomers pouring their various offerings, including Oak Highlands Brewery. However, even after arriving at a decent time, they were already out of their golden elixir so their popularity was already apparent. Oak Highlands Brewery is owned and operated by Brad Mall and business partner Derrin Williams. Brad is another attorney turned brewer which seems to be a popular trend in the Texas beer scene. He chuckled about that scenario saying that his family likes him better when he's a brewer. It's a good thing too, because his beer is good, really good. I luckily got to sample some of their offerings a few weeks ago before they got super busy and I was really impressed. When I asked Brad about their beer and how they will differentiate themselves from other breweries, I received a very modest response. We don’t like to compare our brewery or our beer with others. 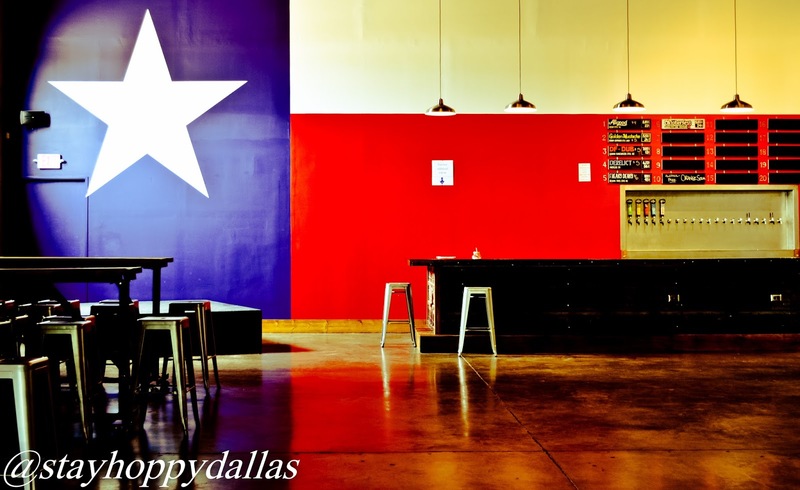 DFW is blessed in that there are many local breweries making some amazing beers. The proof of that is in the results from last year’s GABF. What I will say about us is that we make easy drinking ales and lagers. The response from people trying our beers has always been "they are all great." We are bringing five beers to market initially and will have an aggressive seasonal line up as well. With our initial five beers, there are a couple of styles that are commercially harder to find (Dortmunder Export lager and Dunkelweizen) and an American twist on a traditional Belgian Tripel. Ultimately it will be for the consumer to decide if they feel our beers are better. As for what we like to brew, Dunkelweizen has always been my favorite style, while my partner Derrin’s favorite style to brew is saison, which will be one of our first seasonals. Their core lineup will include five mainstay beers: a Tripel, Dunkelweizen, Kolsch, IPA and Dortmunder Lager. To say there's a variation in styles there is an understatement. Even the Tripel is a hybrid, using traditional Belgian yeast but using copious amounts of American hops, giving it an herbal/tropical hop presence not found in a lot of tripels. And a Dortmunder Lager? I can't think of any Texas breweries currently brewing that style, a traditional German style that came about to stand up with the rising popularity of the Pilsner. My favorite was the Dunkelweizen, a truly balanced German ale that had the roasty malts complimenting the banana and clove profile just right. Brad is more focused on the business needs of the brewery at this stage, and is still searching for a head brewmaster. However, in the meantime, you can rest assured these first batches are in good hands with John Sims helping out. John Sims was one of the founders of Four Corners Brewery and helped pave the way to their success with his 20+ years of brewing experience. 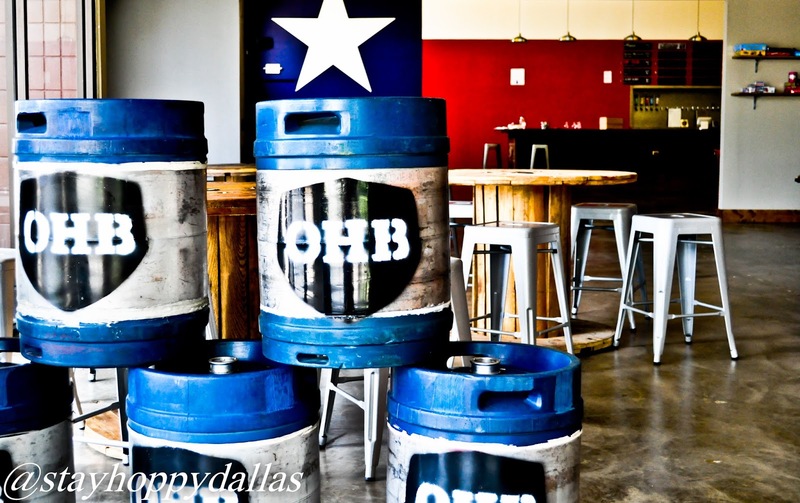 Who knows, maybe he'll stay on as head brewer at Oak Highlands. 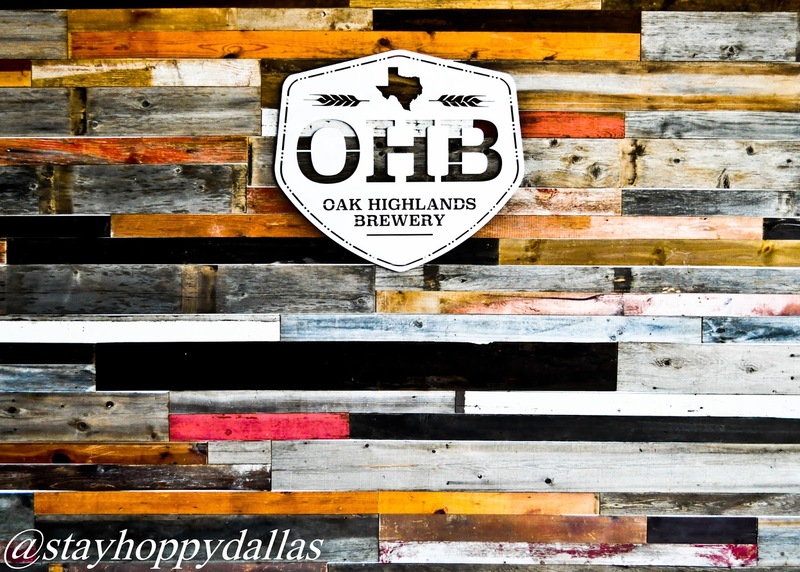 Oak Highlands Brewery plans on canning their core lineup right away with 12 and 16oz cans. They are also currently under construction with their large tap room which they are planning to have open to the public on July 18 for the Grand Opening Celebration. Brad isn't sure how many beers will be on tap for the celebration yet, but future plans include 20 taps of nothing but house brewed beers with 15 being rotating/experiementals/seasonals. You might even see their beer at various restaurants around town. 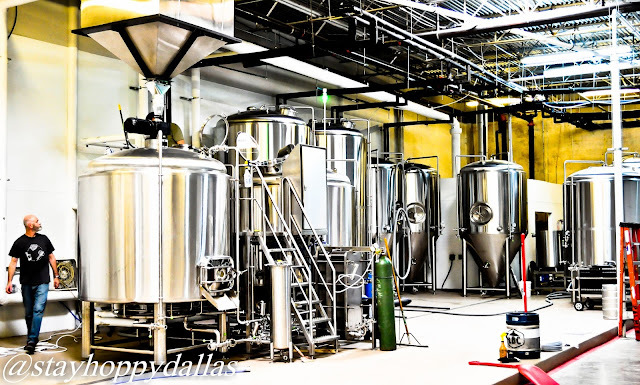 Brad plans on brewing 'house beers' specifically for unnamed restaurants around Dallas, so keep your eyes and ears open for that. 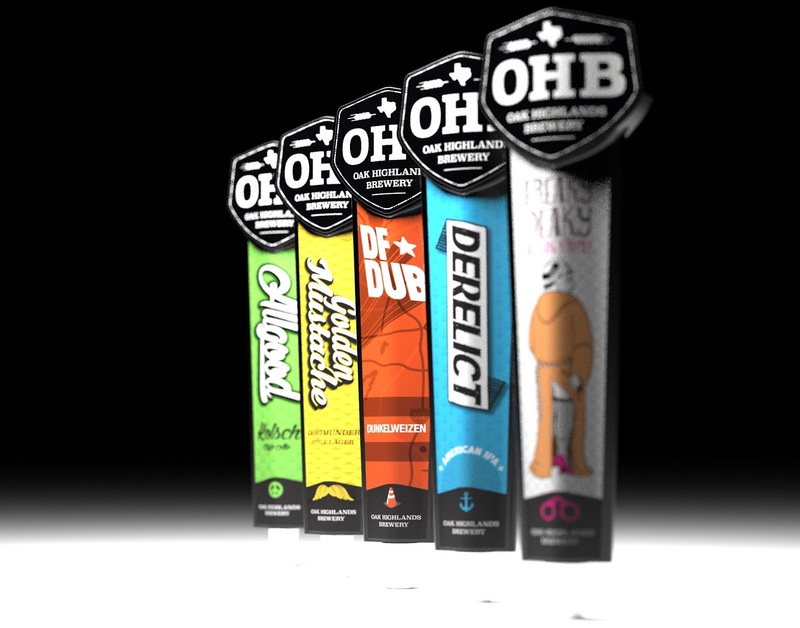 Oak Highlands Brewery is currently brewing/fermenting away but is still awaiting final label approvals before being able to sell, so keep up-to-date with their Twitter and Facebook and be on the look out for their colorful taps! Cheers to another Dallas area brewery! 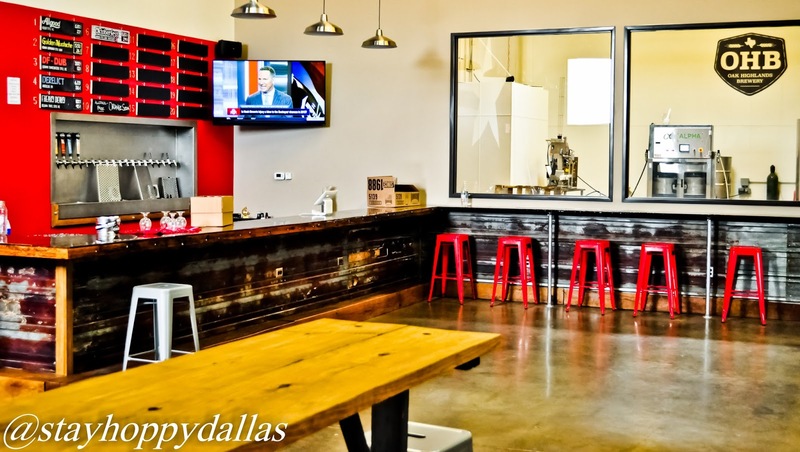 For more information on the Dallas beer scene, follow me on Twitter and Facebook. The manager at this event space NYC suggested we make custom choices and make the menu a little more personalized. The next time you need to hold a conference, have a wedding, or set up a whiskey tasting, think about doing it at this venue.